Nico Rosberg headed Lewis Hamilton as first practice at the Chinese Grand Prix was disrupted by three failures on two separate cars. Williams driver Felipe Massa suffered two left-rear wheel failures and Renault's Kevin Magnussen a suspected broken left rear suspension. The session was stopped for 30 minutes as officials launched an investigation and cleared the track of debris. Williams had a wheel problem. Renault's turned out to be a suspension failure. Williams driver Valtteri Bottas said the team had found a problem with the "rim clearance" - the distance between the wheel and the wheel assembly - and that he had had the same problem as Massa but had been "more lucky". "If there is something under the rim too close, that can cause problems," the Finn said. Both Massa's failures happened on his first lap out of the pits on the entry to the Turn Six hairpin. On the first, Massa was pitched into a spin. On the second, he did not lose control, but the tyre appeared to simply pop off the rim. There were no clear television pictures of the failure on Magnussen's car. 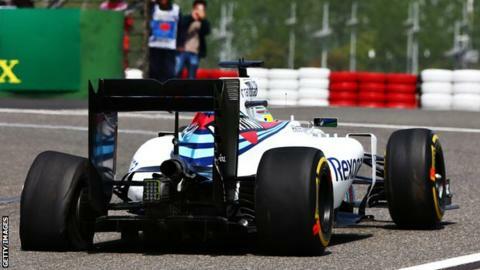 Williams did not send either of its cars out again when the session was re-started with eight minutes remaining. Magnussen, who had broken rear suspension, was also consigned to the pits. In a busy final few minutes of running, Rosberg supplanted early pace-setter Hamilton at the top of the times with a lap of one minute 38.037 seconds. The world champion was 0.146secs behind in the second Mercedes. 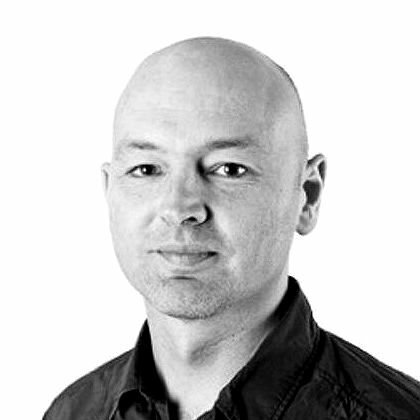 Rosberg returned to the pits at the end of the session in "limp-home mode", his engineer telling him over the radio that he thought there was "an engine issue". Mercedes later diagnosed it as an ignition problem and said they hoped it would be solved for second practice. Hamilton already knows that he has a five-place grid drop from wherever he qualifies because of a gearbox change after the team discovered a potential problem and decided not to risk a retirement. Ferrari's Sebastian Vettel was third quickest, 0.628secs off the pace and 0.396secs quicker than Red Bull's Daniel Ricciardo in fourth. Ferrari's Kimi Raikkonen was fifth, ahead of Red Bull's Daniil Kvyat, Toro Rosso's Carlos Sainz and the McLaren of Jenson Button. Fernando Alonso returned to the McLaren after being forced to miss the last race in Bahrain because of a broken rib sustained in his high-speed crash at the season-opening Australian Grand Prix. The Spaniard faces further medical checks after the first session to establish whether he will be allowed to continue for the rest of the weekend but he made no public reports of any physical discomfort. Alonso was 12th fastest, 0.564secs slower than Button.